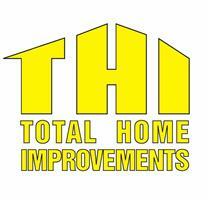 Total Home Improvements are based in Horsham West Sussex covering all property improvement projects. From ideas through design, installation and to full completion offering guidance and advice at every level, working with our clients to a high standard completed project. We specialise in bathroom and kitchen installation including wetroom design and fitting. As "Impey wetroom approved" and "Aqualisa showers" masterclass accredited supplier and installers we offer quality products for all projects and are carried out from start to finish in partnership with approved gas safe registered engineers and part p qualified electrcians. We also carry out re decoration of rooms or whole properties, door replacement, garage conversions and use a fensa registered double glazing company for window replacement if required. Over the last few years we have carried out fitting of internal plantation shutters to give a unique look to your property, these can be supplied and installed to your individual requirements, in many colours and styles. Ongoing and re-active maintenence to rental properties for landlords is also a service we provide. 70%-80% of our business is recommendation or existing customers returning for further home improvements. But with the support and feedback from check-a-trade it gives our new clients total confidence and peace of mind when choosing Total Home Improvments for thier next project. Contact today for a friendly approch if your considering improvemets to your property. "From Inspiration to completion." All RH postcodes and boundaries.